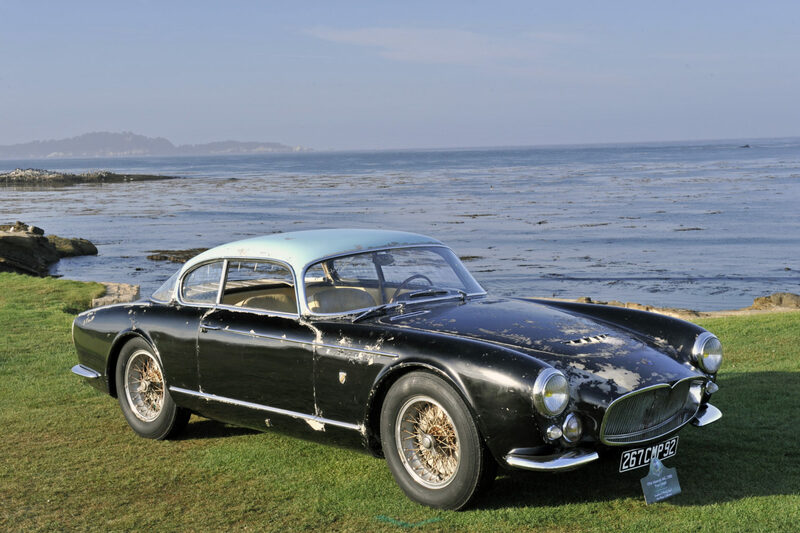 Concours of Elegance 2017 is gearing up to host the UK debut of one of the most exciting classic car discoveries in recent history – the Maserati A6G 2000 Gran Sport ‘Baillon Barn Find’. An extremely rare model in it own right, this particular Maserati is uniquely original, having been unearthed as part of 2014’s ‘Baillon Barn Find’. It was one of a number of priceless classic vehicles found, untouched for decades, in a French barn. The collection was considered one of the classic car world’s most brilliant treasures, and this stunning Maserati A6G was one of the stars – alongside the ’61 Paris Motor Show Ferrari 250 GT SWB. More than 60 years since this Maserati was built – and having previously remained in the same family for 55 years – the Maserati A6G boasts its original bodywork and mechanicals. Clearly, decades of inactivity have required a thorough recommissioning, but the Maserati is now back on the road again and will even be taking part in the Concours of Elegance Tour of Wessex. A series of other world-class cars have already confirmed their attendance to this year’s event, including the very first Bentley to race at Le Mans: the 3 Litre #141. It will be joined at Hampton Court by rarities like a Bugatti Type 57C Atalante Rollback and Ferrari 340 MM Vignale Spyder. The main concours display is just one small part of this year’s Concours of Elegance, which is set to be the biggest and best yet. Across the weekend, more than a thousand cars will gather in the grounds of Hampton Court Palace, covering more than 125 years of automotive development, and the world’s most famous brands. A new central stage will be the focal point, hosting moving displays of vehicles across the weekend, adding a new dynamic element. Concours of Elegance will also welcome a display of pre-1905 ‘Veteran’ cars and a handpicked array of the latest ultra-rare modern supercars. The collection will be curated by founder of the Harry’s Garage YouTube channel and evo magazine, Harry Metcalfe.